This is a guest post from Paroma Chakravarty of Year of the Monkey. 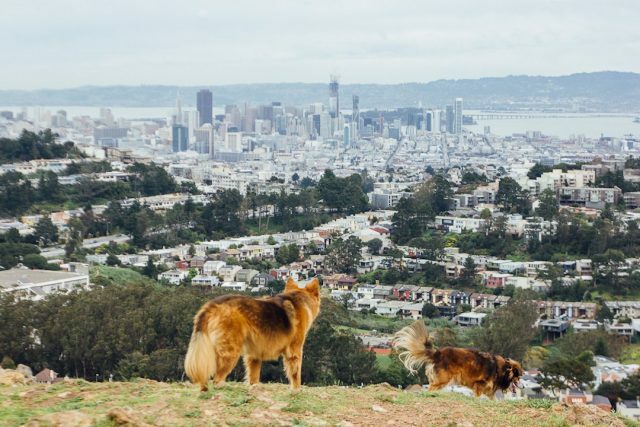 San Francisco is one of those cities loved by humans and canines alike and perhaps even more by canine-loving humans or those owned by canines, i.e. someone like me. 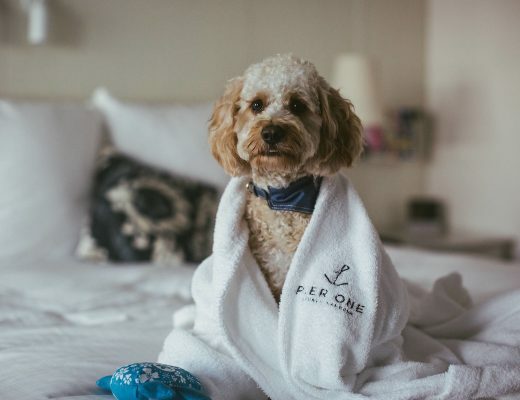 The city is only 49 square miles (really pint-sized for an American metropolis), but is packed with many dog parks, open space reserves, beautiful urban hikes and of course, the mighty Pacific ocean on three sides, which means there are quite a few dog friendly beaches to hit up as well! 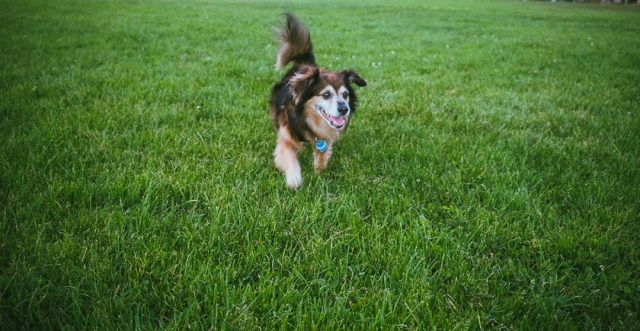 As SF residents for nearly 13 years, my husband and I have explored almost all it’s dog-friendly nooks and crannies with Babu, our 20 pound bundle of joy, aka Tibetan Spaniel mix. 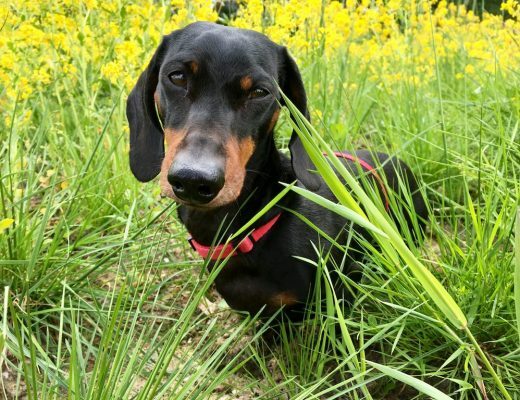 Babu has hiked, sniffed, rolled and sprinted his way through the city and these are some of his (or at least that is what I think) favorite activities to do in dog-friendly San Francisco. 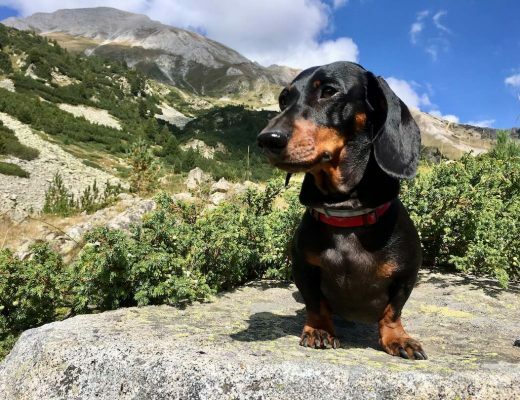 Babu is a champion hiker despite his small size and has conquered many a trail in San Francisco, which thankfully has lots of dog-friendly urban hiking trails to offer. Our favorite, hands down, is the hiking trail in Mount Davidson park which not only offers spectacular views of the city but looks straight out of a Lord of the Rings forest scene, with mist covered foliage all around. 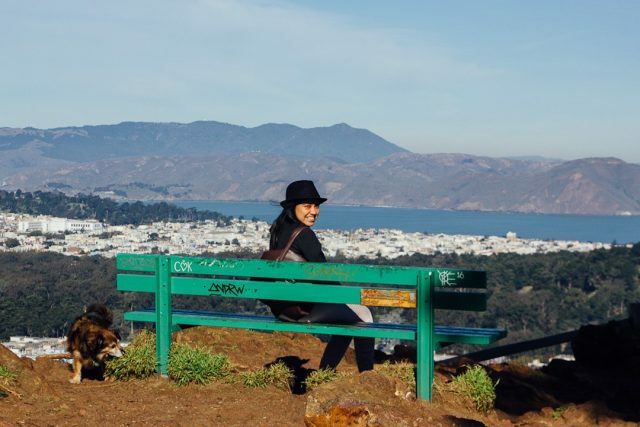 We are also partial towards the Sutra open space reserve hiking trail in San Francisco’s Cole valley as well as the many hiking trails in the city’s beautiful Presidio, with gorgeous views of the Golden Gate bridge. San Francisco has so many dog-friendly parks that it is difficult to pick a favorite. We do love our Sunday walks in the famous Alamo Square Park in our neighborhood which is flanked by the famous Painted Ladies, a row of colorful Victorian houses that are an SF landmark (basically every other SF postcard showcases them). Our other favorites are Yerba Buena Park and Alta Plaza Park because they are clean and well maintained. Many of these parks have doggy play areas where dogs can run leash free. Many others such as Bernal Hills in Bernal Heights park and Grand View park have spectacular views of the city once you hike to the top. 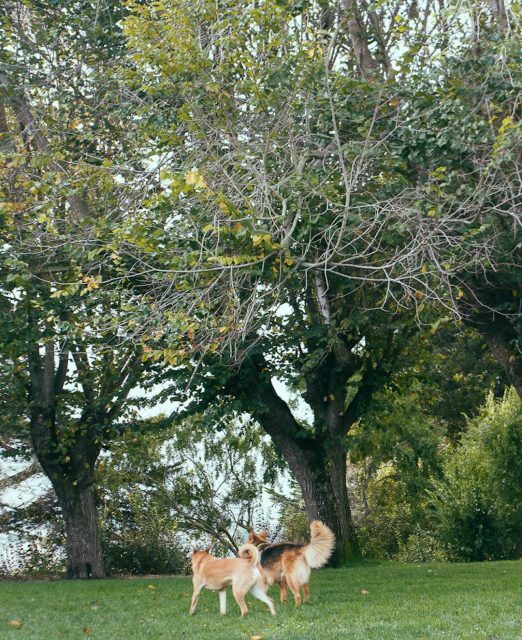 For a complete list of dog friendly parks in San Francisco, do read my blog post on all the dog-friendly spots in the city. San Francisco dog parents are lucky to have at least three dog-friendly beaches, all within the boundaries of the city! Baker Beach in Presidio with gorgeous views of the Golden Gate Bridge, the secluded Mile Rock Beach which offers beautiful, serene sunsets and Fort Funston Beach in the south western most corner of the city, all welcome dogs. As with all publicly shared places, dog owners are mandated by city laws to follow leash instructions and to pick up after their dogs. Owing to a year round balmy weather (mercury hovers mostly between 65-70F/18-21C) with foggy mornings, hot middays and cool nights, al fresco dining and therefore dog-friendly patios are a norm in San Francisco. 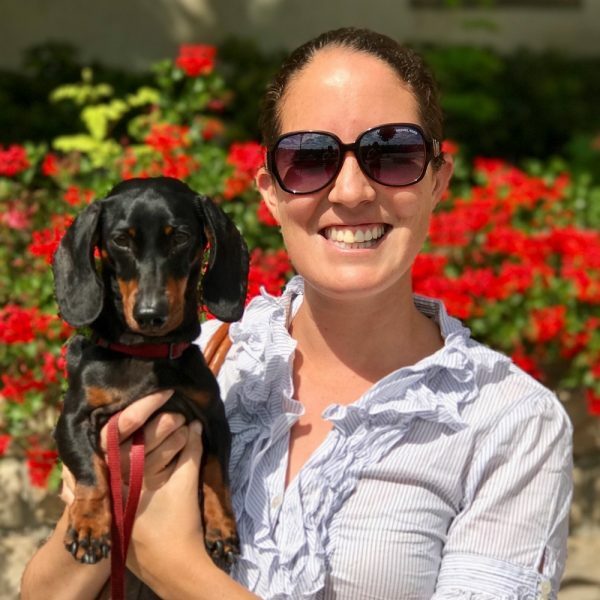 It is now a law in California to allow dogs in all outdoor patios of restaurants and so there is really no reason to leave your pooch behind when you are out dining. San Francisco is filled with dog friendly restaurants, with our favorites being the French Cafe Zazie, which even has “doggie special” Monday nights where dogs are allowed inside into the heated garden patio. Other dog friendly restaurants that we have visited are The Grove on Fillmore, B Patisserie, A16, Sweet Maple, Piccino and Park Chow. 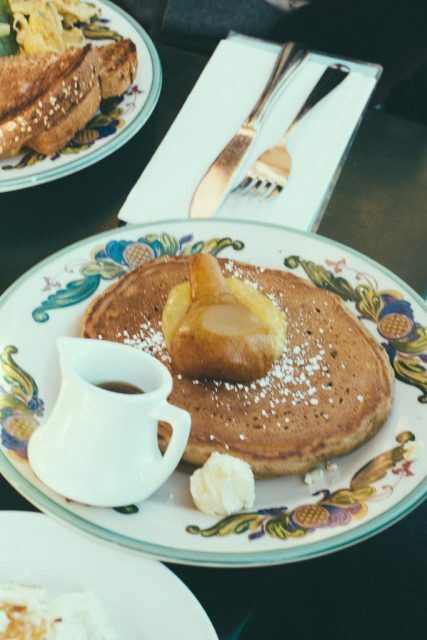 You can simply look up on Yelp to see which restaurants have outdoor seating and hop in there for brunch with your best friend! SF Eater also has a helpful list to guide you in your quest to find dog friendly restaurants and cafes in SF. 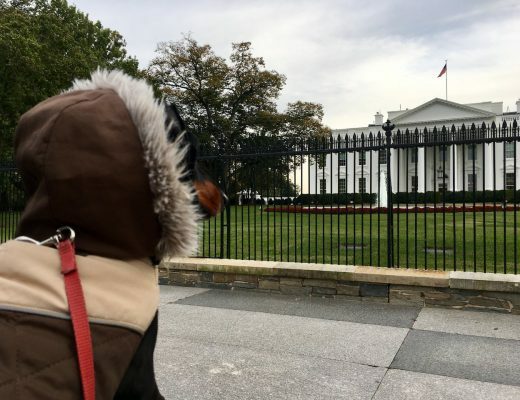 I hope you liked reading this post and are making plans to visit San Francisco soon with your dog(s)! 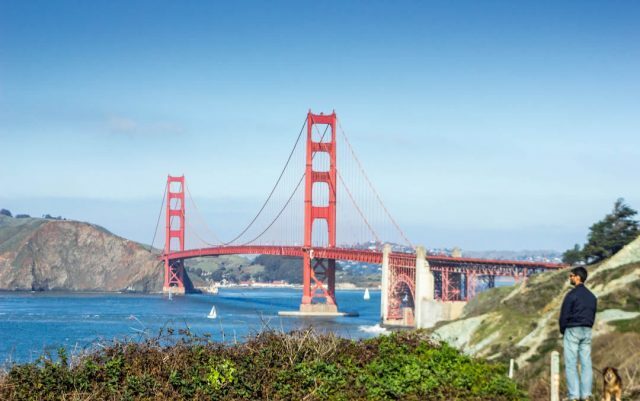 San Francisco is an extremely dog loving city and your pup will have one of the best times of his/her life exploring the beauty of this urban paradise, beaches and dog friendly parks. 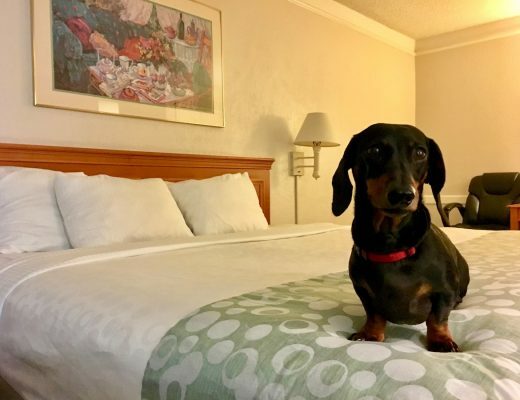 If you are visiting with more time on your hands and are eager to explore more of California with your pup, do read my dog-friendly destination guides for more inspiration. 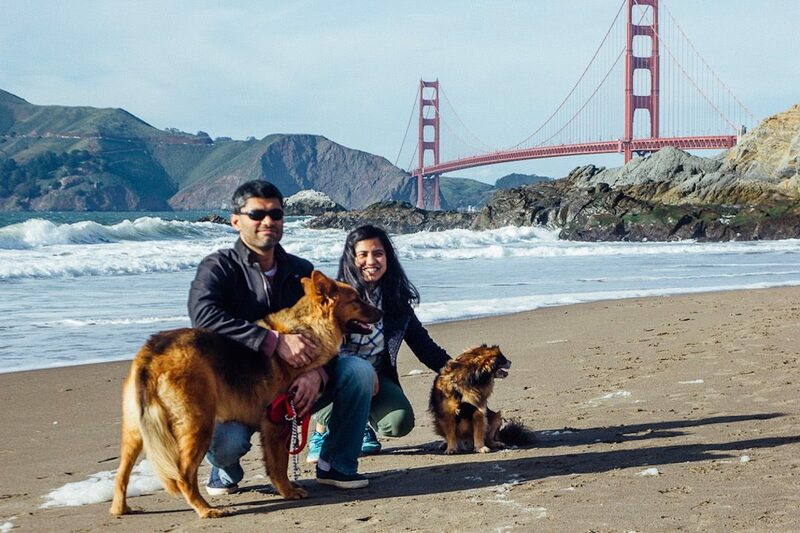 Paroma Chakravarty is a scientist by profession who lives in San Francisco, California with her husband and her 14 year old Tibetan Spaniel mix. She blogs at Year of the Monkey as a hobby and documents her travel adventures, culinary discoveries, local SF guides and dog-friendly destinations. 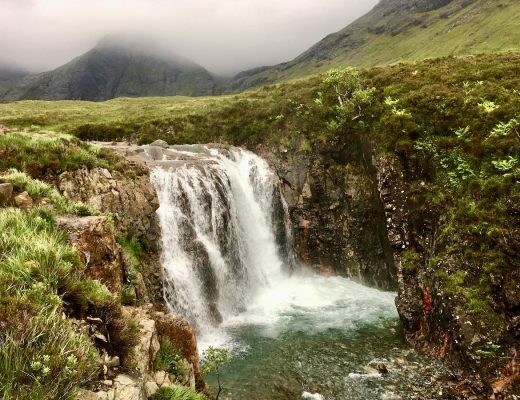 When not losing sleep over experiments and writing scientific papers, Paroma loves to explore new places, try new cuisine and improve her photography. Her goal is to encourage more people to explore California’s natural beauty with their dogs. Follow Paroma on Instagram or Facebook.